Saturday, Oct. 5, 2013 is World Teachers Day, a day to appreciate teachers, but also to reflect on the direction education is headed around the world. The demand for lower secondary education continues to grow worldwide. Between 1999 and 2011, the gross enrollment ratio rose by 10 percentage points, reaching 82 percent. A total of 3.5 million new lower secondary education teaching posts must be created by 2015, and 5.1 million will be required by 2030. Sub-Saharan Africa alone represents close to one-half the global lower secondary education shortage (46 percent). 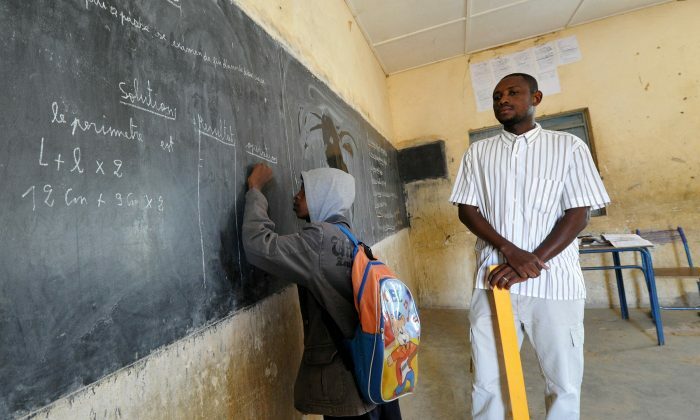 In fact, the region will need an extra 1.6 million teachers by 2015, and 2.5 million by 2030. Unicef interviewed a teacher of Pakistani teen Malala Yousafzai in honor of the day. Yousafzai was shot by the Taliban for her education advocacy, but survived and has become a symbol of efforts to further education in Pakistan and abroad. Her teacher, Mariam Khalique, spoke of the tribulations she faced when becoming a teacher in Pakistan.